The Success of Leicester City: How did Physiotherapy Help? 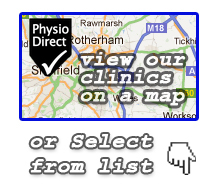 This article may be a little late to the party, but as PhysioDirect has several clinics in Leicester I thought it would be silly to pass up on the opportunity to jump on the Leicester City bandwagon! Incase there is any ambiguity about the bandwagon I am referring to, it is of course the historic rise of Leicester City Football Club to win the English Premier League this season at odds of 5000/1. What prompted me to write this article however was a recent podcast I listened to with the 1st team physio Simon Murphy. During the interview Simon noted that although the medical team might not be able to take any direct credit for the win, the low number of injuries through the season meant the Foxes were able to consistently field their best team. This in turn did help ensure the amazing victory at the end of the season! If you consider yourself wise, you may be familiar with the phrase “prevention is always better than a cure”. This statement usually reserved for the world of medicine, applies just as much to injuries in professional sport. Effective physiotherapy in sport is all about reducing the risk of injuries happening in the first place. So what increases risk? In the medical/scientific world, when discussing risk, we tend to talk about ’risk factors’. Risk factors can be broken down into ‘non modifiable risk factors’ – ones we can’t really change, and ‘modifiable risk factors’ – ones we do our best to influence. One of the most important non modifiable risk factors is a history of previous injury. We can’t change history, which is why the ‘prevention is better than a cure’ motto is so relevant! Onto the stuff we can actually influence then.. Warm ups – With so much at stake in professional sport, players can’t get away with the bacon sandwich and cigarette approach to warming up that you might find in your Sunday pub leagues. A well planned out warmup that addresses all areas of achieving optimal mobility and muscle activity, raising body temperature and get the heart rate going before playing is key. In professional sport, warm ups these days can be quite different from player to player based on their individual needs, with specific areas they need to target. Biomechanical factors – This includes things such as strength imbalances, lack of flexibility, reduced stability and co-ordination. These are all things that are screened for before the season and which can be monitored as the season goes on. If a player shows to to have an imbalance in strength between their quads and hamstrings for example, changes can be made to their individual training program to help correct this. Recovery – Cooling down after a match is also an area not to be missed. And no, a pint down the pub after the game does not count as a cool down. 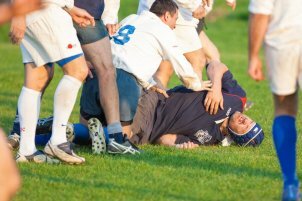 Fatigue – This term is usually used in relation the game itself as there appears to be a pattern of players sustaining injuries in the latter part of games. Fatigue can also be of relevance through the training week and through the season. We tend to to discuss this in terms of ’training load’. This brings us nicely onto the topic of load management. Load management is a hot topic in physio at the moment, and was a good point of discussion in the recent podcast with Leicester physio Simon Murphy. A big part of managing training load is having a good weekly training diary. 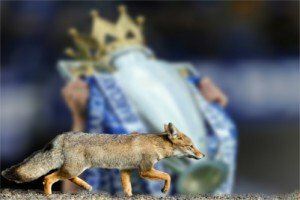 The Foxes go about this by ensuring a good few days rest after a game (as the medical team know they are still recovering 48 hours after a hard match). Training usually commences on Tuesday, but on smaller pitches to stop players reaching high running speeds (and risk a hamstring strain). Some strength work is also done in the afternoon on the same day. A few days after that the players are allowed to train on bigger open pitches to allow them to work upto their top speeds and train hard, with rest days again afterwards to let them recover before the game at the weekend. Leicester’s approach is all about training the players hard to prepare them for the fast counter attacking game they have been known for, but giving enough rest time between sessions to let them recover properly. Ensuring players build up their training volumes gradually in the offseason and keeping things consistent during the season are also factors that help keep risk low. Load management also needs to consider under training, which can be just as bad as overtraining! 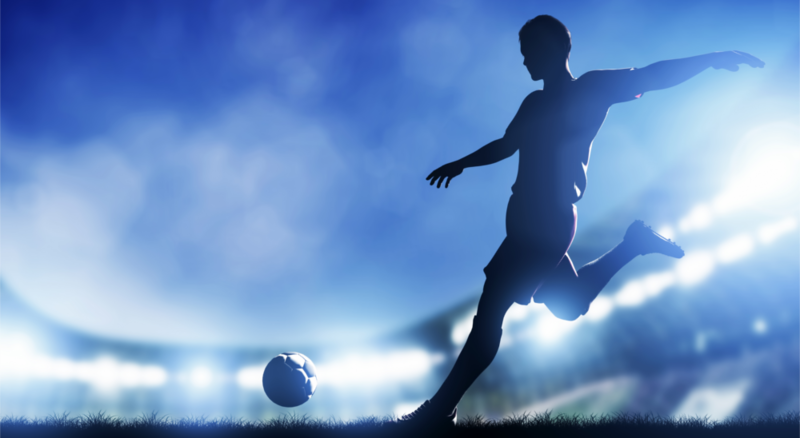 Football clubs these days use many methods to track training load such as GPS technology, wellness reporting questionnaires and psychological status evaluation. Next season Leicester face many challenges. The possibility of retaining the league title, playing in the Champions League for the first time, and from a physio’s perspective; keeping injuries to a minimum. The task of keeping injury risk low when thinking in terms of load management is going to be a particularly difficult one. Leicester will face the challenge of a much higher workload, with more games per week, more travelling and less time to recover. Leicester also (compared to other top flight teams) have a relatively small squad at present. It will be interesting to see how Leicester approach things, and what changes they might make to keep up last seasons success record! Well I hope you’ve found my musings on Leicester City thought provoking and interesting. Keep checking for my next blog which should also be up soon. If you want to know how physio can help in your sport, please give us a call or come see us here at Physio Direct! With special thanks to Charlotte Wade and my mate for their contributions.